The Axis End Table is an organic, Nordic-inspired accent design. The Axis features a solid wood routered top and all corners are softened by rounded edges. The Axis is the perfect end table for a living room, office, bedroom or nursery. • Solid Walnut or FSC-Certified Ash top with CNC-routered recess detail. • Corners of the solid wood top and base are all rounded off. 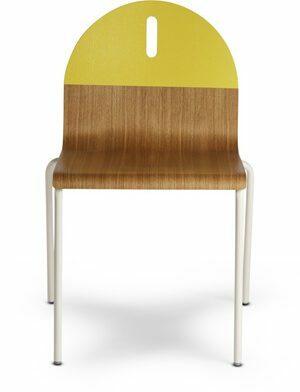 • Matte white, powder-coated metal tube is connected to a solid Walnut or FSC-Certified Ash cross base. • Felt pads on the bottom to prevent floor damage.